Welcome to Absorbent Minds. We are a small homely Montessori and Afterschool facility in the heart of Ballinteer, with a new facility opened in Ballintyre. We follow the Montessori method of teaching and have highly qualified Montessori teachers. We offer a range of facilities to suit everyones needs. Full day care from 8.00am – 6.00pm. This includes our pre Montessori session or Montessori session depending on the age of your child. It is vital to us at Absorbent Minds that your child is in a stimulating ,happy and secure environment , where all their needs are catered for and their full potential reached. 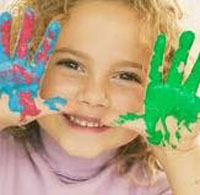 Our aim is to care for and support your child through their early years education in conjunction with you the parents. ©2015 Copyright by Absorbent Minds. Site Design by Smartsites.ie .